Give your home a bit of rustic style with the unique design of the Pop Bar Stool by Zuo Modern. The backless design and bottle cap-shaped seat add visual interest that will impress guests. Each plush cushion is upholstered in distressed leatherette and provides a comfortable seat. Boasting a circular painted steel base, these stools will coordinate with your home decor with ease. 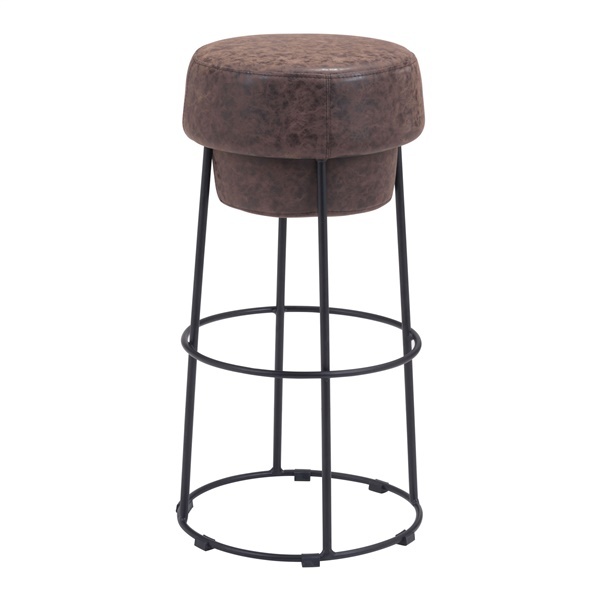 The Pop Bar Stool by Zuo Modern is the perfect height for use at a bar or counter top.